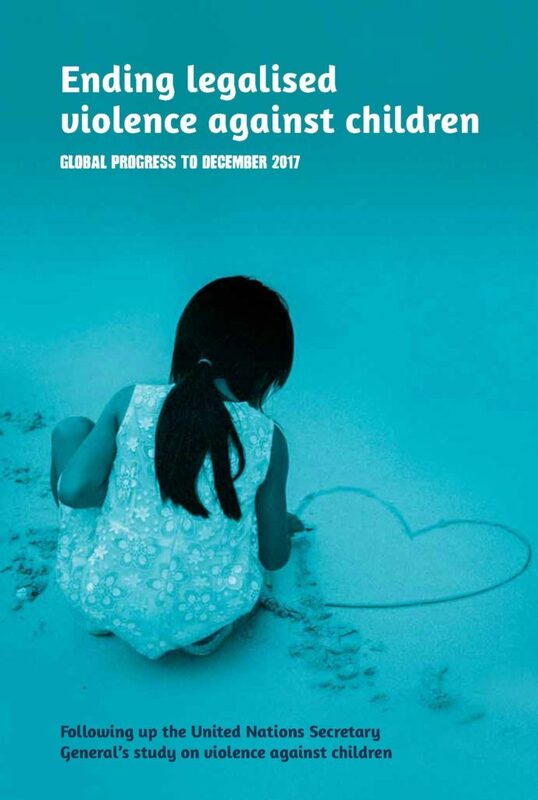 Following up on the UN Secretary General's Study on Violence against Children, our annual global reports track progress towards universal prohibition and elimination of corporal punishment of children. This latest edition highlights the major achievements of 2017 – yet another big year in the journey to end all corporal punishment; it provides an update on the work of the Global Initiative, and looks forward to what is coming up in 2018. Designed to encourage and support action, the report also highlights the work still to be done – the states where corporal punishment is not fully prohibited in any setting, the states where corporal punishment remains lawful as a sentence for crime, and the number of children worldwide that still do not enjoy equal protection on the law on assault. A limited number of hard copies is available for advocacy use, contact info@endcorporalpunishment.org.